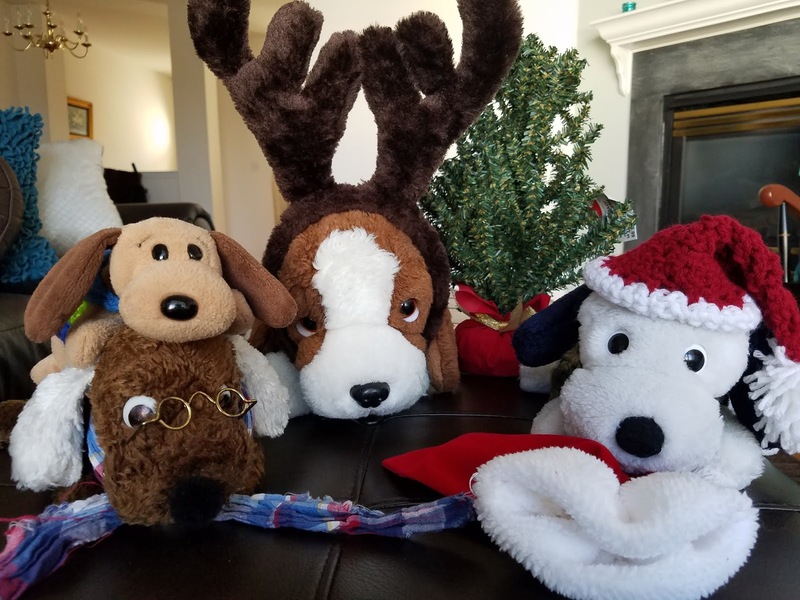 My friend Droopy is in the Stuffie Spotlight! Check out his fascinating interview below! I currently live in the great state of Texas. Before that, my human and I lived in New Jersey for a very long time and had to deal with northeastern winters. We miss looking at the snow, but we don’t miss shoveling it! 2) Tell us about how you got started blogging/writing. Actually, I was inspired after reading the blog of a certain little brown bear from Bosnia 🙂 I thought blogging would be a good way for me to connect with other stuffies. Since I’ve started blogging, I’ve become friends with Ajdin, Little Fox, Sandy Bear, Jerry and Ben, Beanie Mouse, and several others. We sometimes exchange gifts and cards in the mail, to the point where I now receive more Christmas cards than my human. The blog has also helped me convince my human to bring me along for trips and special outings, because of the ongoing need for content! 3) What other pursuits do you have? Amateur crimefighting, psychotherapy, and stand-up comedy (more details can be found on my blog page). You will sometimes find me serving as a model for my human’s art projects. I am also a passionate meatatarian (see next question). 4) What is your favorite food and favorite thing to do? Those familiar with my blog will know that my #1 favorite food is bacon. However, I love most meat-based products. My human and I visited a beef jerky outlet some time ago, and it was hard to get me to leave…. My favorite activities are traveling, watching movies, or just hanging out with the other members of my pack–Patch, Spunky, and Grandpa Angus! Thanks Droopy for the great interview! Will YOU be next in the Stuffie Spotlight? Stay tuned!